That sale that I posted yesterday ended up being run by this white trash family with a pink house. 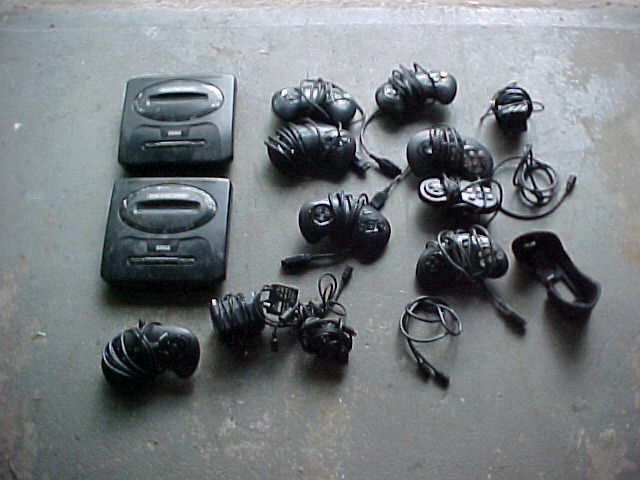 The videogames consisted of a Namco TV-plug-n-play game for $7, Killswitch XB disc only for $6, and a dirty N64 for $15. This started the day with a pretty sour note, and after last week I was almost certain that today would be another crappy day. Not the best of mornings. 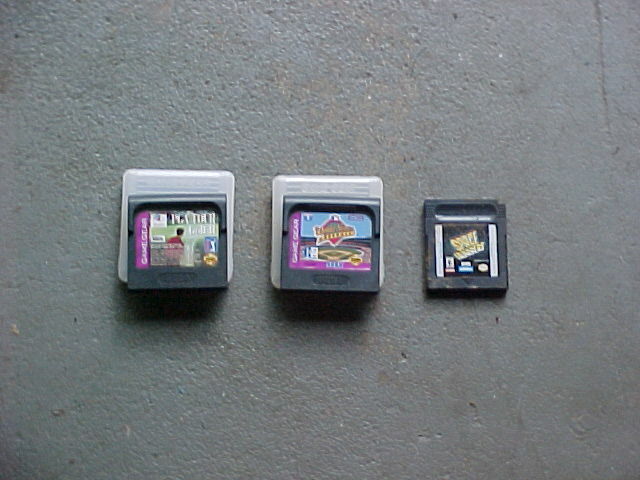 Got the 3 portable games at a church sale. Got the Gen lot from a really apathetic jock-looking 20-something year old guy. His mom had to call him over to the table when I waved for somebody, and he slowly walked over. "How much are you asking for this?" I asked. "Meh. I dunno, heh, just take it." I looked at him, "What really?" "Heh I don't really care man. Like...a buck for the systems...25 cents a game." I offered him $3 for everything and he took it without question. We saw the VB eyepiece and 2 NES games after we bought the Gen stuff, and asked if we could have those too. "Sure man, just take em." Wish most sales were like this. Liz is currently reading the Book 2 of The Sword of Truth series by Terry Goodkind, and had been looking for the rest of his books all summer. 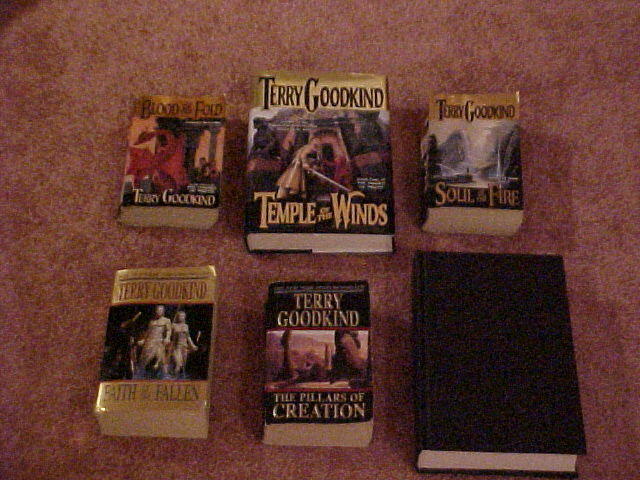 Today was the first day we saw anyone with Goodkind books for sale. The guy had the whole series, but since she already had the first two, she picked up the remainder of the series. He also had Robert Jordon's Wheel of Time series, several other fantasy novels, and tons of Star Wars novels. She was thrilled to see all the sci-fi/fantasy books: a change of pace from the usual romance novels and Michael Crichton books we always see. 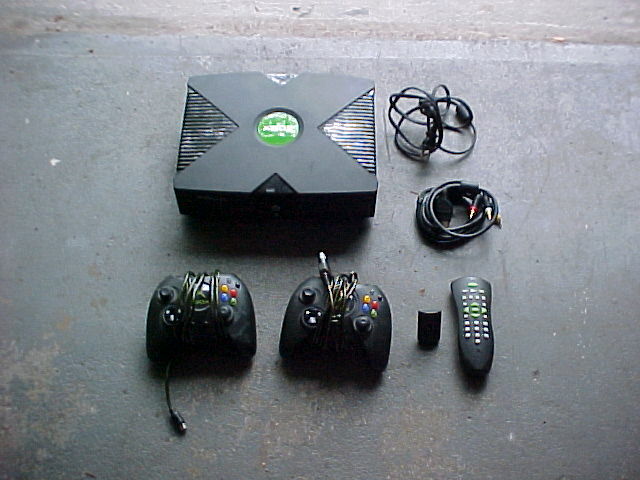 Saw the Xbox at one of the last sales we went to. The lady working it immediately said that "it was my son's, but it doesn't work anymore. Well, it still plays DVDs, but the games don't work." She wanted $5, but took $3 without hesitation. I looked and it has a Thompson, and from the 2 Duke's I would assume it's a launch box. I already have an Xbox, so I can have some fun with this one. I'm thinking of modding it (aesthetically), or at least just replacing the drive. I wanted some dukes in my collection, so that's nice too. Most of the games are covered in rental stickers, and everything we bought (minus the books) is absolutely filthy. It'll take some work but I'll get everything looking nice. So yeah, what started out as a gloomy day with low potential ended up being a pretty good!